Visit Japan! – 15 Places to Visit in Japan! Japan is a beautiful control with a hugely diverse landscape for you to explore. 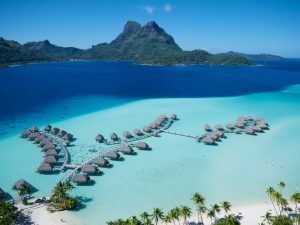 If you are looking for the perfect place to go on vacation, you will find that this country has some incredible sights and attractions to offer for just about everyone. Each part of Japan has different and unique things to see and do, so you will want to take some time to learn about this country. The following is a list of the most beautiful and fascinating places in Japan, so you can make the right decision on where to go for your next trip. Japan is one of the 30 most visited countries in the world! Kyoto is a city that is well-known for its gorgeous shrines, gardens, temples and palaces. If you are looking for some amazing photo opportunities, this is the city to visit for sure. This city is among the very best in terms of historic sites. The bamboo forests of Arashiyama and the temples of Kinkaku-ji are just two of the great things about this area of Japan. The 13th-century Kyoto Temple of Nanzen-ji is one of the famous sites of Japanese Buddhism. Tokyo is definitely the most popular area of Japan for tourists, mostly because it just has so much to offer people of all ages. Here you will find a number of great places to shop and eat. Tokyo is known for many things, including its incredibly efficient public transportation. You can take trains to wherever you need to go in the city. Those who like anime will find themselves right at home here. It is the capital of Japan and the seat of the Japanese emperor. With about 12 million inhabitants it is the largest urban conglomerate in the world. Tokyo means the Eastern Capital. Osaka is quite a unique port city, and it has tons of fun things for you to see and do. Osaka Castle Park and the Osaka Aquarium Kaiyukan are just a couple of the places in this city that you don’t want to miss while you are here. You will also find some of the best restaurants in the country here. Kids Plaza is the perfect place for families to go, as it is a very exciting area for children with lots for them to do. Osaka is the third largest city in Japan after Tokyo and Yokohama. Hakone is a small village nestled in the mountains, and Mt. Fuji makes for one extremely scenic backdrop. When you visit this village, you will be able to enjoy the public bath house as well as visit the Hakone Shrine at the end of Lake Ashinoko. This is definitely one of the most beautiful places in all of Japan. Hakone is an area of lakes with many picturesque villages. With a short distance from Tokyo, this place is abundantly used by locals as well as by travellers who want to see Mount Fuji from a shorter distance. The city of Kobe can be found on the harbour, which is one of the most important one in the country. And it has some truly incredible scenery with towering mountains all around. There is a hot spring resort in the centre of the city. The Earthquake Museum is nearby for those who love to learn. Many foodies visit this city simply because there are so many incredible places to eat. Kobe is a modern and vibrant city which center is famous for its busy nightlife. Nara is another beautiful city in Japan, and it has a population of devout Buddhists who worship at shrines each day. There are plenty of museums and temples that you can visit here, so it is the perfect place for anyone who loves learning about history. You will also likely see a number of wild animals while you are here, adding to the excitement and adventure that Nara has to offer. Sapporo is situated high up in the mountains and is one of the more scenic places that you can visit in Japan. The ice sculpture festivals and ample opportunities for skiing and snowboarding make this a great place to go in the winter months. This city is also famous for its beer, and you can visit the Sapporo Beer Museum to learn about the history of beer and sample different kinds. Kamakura is a great place to go when you want to get out of the big city but still see some truly amazing sights. Here you will find the Kotoku-in Temple, and there are numerous hiking trails with lush scenery. The bamboo forests that are located amid the rolling hills are incredibly peaceful. If you want to spend some time in nature while you are here, this is the city to visit. Yokohama has many different things to offer, including a huge Chinatown area where you can shop and get some great-tasting food. There are some very tall skyscrapers as well as wonderful gardens that you can stroll through. A lot of people come to this city because of its glamorous aesthetic, and the fact that it has something to offer every member of the family. Izu Hanto has plenty to offer for those who want to spend some time in nature, including a few incredible hot springs. There are a number of luxury resorts in this area that will provide you with the perfect place to stay. Here you will find that Kawazu Cherry Tree Festival, which attracts a lot of tourists and natives alike. Hiroshima is a city that is best known for its ties to World War II, as it was one of the areas that suffered devastating damage and casualties from the U.S. bombing many years ago. Those who come here can visit two different UNESCO World Heritage sites, including the Bomb Dome in Peace Memorial Park and the Itsukushima Shrine. These places can help you learn more about the history of this place. Shikoku is the smallest of all the Japanese islands, but it is also one of the most beautiful. If you are looking for an area that won’t be crowded and overrun with tourists, this is definitely one of the better options that you are going to have. Those who are seeking adventure will find that there is plenty to do here, including hiking along rugged paths and relaxing at the hot springs. Nikko is a small but exciting town that can be found at the entrance of Nikko National Park, and it certainly has a lot to offer. 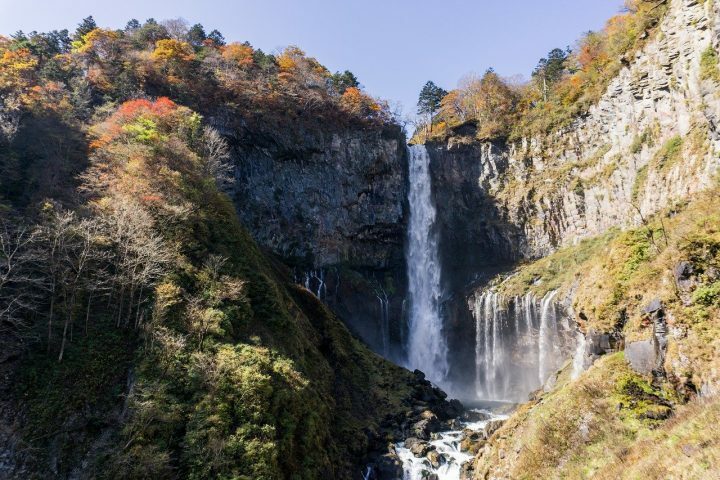 Ryuzu Falls and Mt. Nantai are just two of the amazing natural landmarks that you can visit while you are here. Those who love to explore in nature will find that this town will not disappoint. This is a great place to visit if you are looking for somewhere off the beaten path. Takayama has tons of interesting and beautiful traditional Japanese architecture. There are lots of great little shops that you can visit while you are here, and the food is incredible. There are festivals in both Spring and Autumn that you should try to catch. You will find that these festivals have everything from big floats to great live musical performances that you’ll be sure to enjoy. Chichijima has a very exotic and tropical vibe that tourists seem to love, and its miles of white sand beaches make it an incredibly beautiful place, to say the least. You can go swimming in the ocean or just relax on the beach to work on your tan. While getting here can take quite a while, it is well worth it when you consider its unparalleled beauty. Japan is a constantly changing, but it also remains a country that is keen to keep its traditions. It is a country that is, on the one hand, one of the most dynamically developing economies, and on the other one, a place where you’ll meet with thousands of years old culture and values at every step.